You may recall that, in November, I published the first in a series of blogs showcasing the personal disability stories of civil servants. This second blog features Chris, who shares his experience and insights of acquiring a disability during his working life. His story provides an opportunity to bust a commonly held myth that most disabled people were born with their condition. Research by leading disability organisations such as Leonard Cheshire shows that, in fact, 8 out of 10 working-age disabled people acquire the disability over their lifetime. An acquired disability is the result of an accident or illness. It can be the consequence of head trauma, spinal injuries, loss of vision/hearing, and injury to or loss of limbs. While illness and health-related acquired disabilities can cover conditions such as stroke, post-traumatic stress, MS, Motor Neurone Disease and mental ill health, to name a few. After a fulfilling career in the Royal Navy, cut short by a drunk driver, I joined the Maritime and Coastguard Agency (MCA) and have been with them for 17 years in various roles. I have been married for nearly 20 years, with three fantastic children. Everything changed in April 2014. 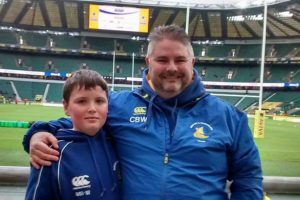 An innocuous collision while officiating a rugby match left me with 8 months off work, barely able to walk and, it transpired, with a chronic spinal injury that the orthopaedic and neuro-surgeons described as inoperable. During this time, I had some life decisions to make. Most of them around my medical condition. I could either be totally pain free, but in a ‘haze’ of high doses of medication, or accept a manageable level of pain and rebuild. I decided to fight, not to let the injury define me and become my life. In reality, my family made the decision for me. I had the support of my wife, children and friends. On returning to work, that support extended. I changed jobs and requalified in a different discipline. With superb line management and colleague support, I started to give something back, as a Mental Health Buddy, as a Civil Service Disability Role Model and then back into the sport I love… rugby. In rugby parlance, I had been forced to ‘call the mark’. I had been forced to pause and make a game-changing decision. Part of this was to put together a referee academy at my local club and to carry on coaching and mentoring. This evolved into a county academy and resulted in my working with the Rugby Football Union in the development of the Young Match Officials Programme (YMOs). I am now the Young Referee Development Officer (YRDO) for the county of Hampshire and regularly work with other counties, using Hampshire as the template. I am responsible for over 50 young referees at county level and 15 within my club. I am also a referee coach/advisor for the Hampshire Rugby Referees and the Royal Navy Society. In addition, I coach my son’s U13s side, alongside my close friends, whose ‘dark humour’ pulled me through the lowest parts of accepting the disability. My wife and children have been fantastic, we are pragmatic and do not let my injury stop us leading active lives (other than long-distance fell walking and running!). My wife encouraged me to “strike out” and look for a promotion. With her support I did, and I am now looking forward to my new job with the Ministry of Defence on promotion. I will be sad to leave the MCA, but take with me some great experiences. In short, no matter how headstrong the individual - which, apparently, I am - you will always need a support network, be it family, friends or colleagues. People are usually afraid to ask if you need help. My advice is to make light, smile and engage, and you will invariably find that support is there. I have been lucky, and have been encouraged to embrace life, looking at it from a different perspective, through different glasses. Change your lenses – you may be surprised! Chris has taken an active role in the development of our Becoming Disability Confident learning offer. If you would like to hear him share his experiences first hand, you can view the Becoming Disability Confident learning videos. Better still, complete the full learning product, which only takes an hour to complete and is free of charge to Civil Service staff. If you are a manager, you may want to think about the type of support that you can provide to a member of staff who acquires a disability. This can include simply keeping in touch, developing a return to work plan, considering appropriate workplace adjustments - such as a phased return to work - job carving and what to tell colleagues. Finally, a massive thanks from me to Chris for being an inspiration to us all and for his great work to promote disability inclusion within the Civil Service. 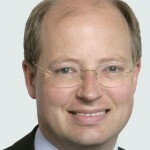 May I begin by congratulating Sir Philip Rutnam on his inclusion in the New Year Honours List. Thank you Chris for sharing your story. It is strange how we can turn such a negative moment in our lives into something positive. I commend your efforts in looking to support others and to break the stigma. I should congratulate your positive mental attitude despite the challenges that you had faced. Fantastic to read this blog and see the steps Chris has taken to not let his "disability " define him. I wish him well for the future but hope Scotland beat England in this years RBS 6 Nations !! Chris, I was very interested to read your story as it was very close to my own. I served with the the Royal Engineers Bomb Disposal Teams until an incident in 1998 left me with significant spinal injuries. I spent over a year in Headley Court learning how to walk again. Finishing that I was medically discharged from the Army, losing my dream career, my home and my future all in one go. I was additionally left with the exact same decision as you had, spend my life in relative low pain but essentially completely out of it, or reduce the pain meds, significantly and have a life. I retrained in IT, over a period of a number of years ended up as an IT director, then moved into procurement where I ended up as Senior vice President at Citi Group as a Global lead. 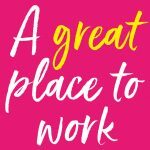 I recently (Sept 2017) moved across to the Civil Service and now work in procurement at HMRC. I additionally have a disability assistance dog, Monty, who helps me with day to day tasks to help reduce the massive level of pain I live in. He is now seen in 100 Parliament Street every day I come in. Its nice to hear of someone who has made the same decisions and moved down the same path to fight for a semblance of life. I would add however two points. If you would like to hear about how Monty helps me as you are eligible to get a disability puppy from Hounds for Heroes, please contact me. Additionally i have recently applied for a veterans sponsored scheme at King Edward VII hospital for a pain management review and possible treatment alternatives, including the new spinal cord stimulation system to reduce pain. I can be found on the HMRC org chart as Doug Ritchie (Commercial). Hi Doug, I have suffered with a spinal injury for 26 years and am now on my second Spinal Cord Stimulator. The doctor will say it is your choice, as it is elective surgery, however, by the time you are offered a Spinal Cord Stimulator, you are pretty much out of choices for pain relief. I can tell you that without mine, I wouldn't have been able to resume full time work. It is by no means a 'miracle' cure, but it does give relief from the constant ache I experience behind my knees and down to my ankles by replacing it with a 'tingle'. If you are still in any doubt, you get your own remote control! Overjoyed at the positives that have come into the lives of some people who have had so much suffering to go through. It really puts a smile on my face that 'somewhere' within the Civil Service, positive attitudes are being shown towards people with disabilities. However, these are few and far between I'm sure. Most disabled staff where I work receive little support and find themselves fighting official action against them. Reasonable adjustments are cut, OH Reports are ignored, requests for changes of the workplace are ignored, shall I go on? So it is not as rosey as you think Sir. Hi Andrew, I totally agree what you said. We don't all get support but it is good to see that people who do get this. I do think it's few and far between. Hi Im glad someone is getting the support but as an employee who has had to fight the department since 2001 what feels like every day i know that we dont all get the support needed. We to are valued members of staff and should be treated as such.